Luchi is deep fried flat bread which is made by flour, ghee/ oil and salt. 1. Dissolve the salt in water and mix flour and purified butter. Then add salt water. 3. Heat the pan with oil and divide dough into 10-11 balls. 5. When oil is ready, place flat bread in oil and when it puffed up, turn it over. 6. After 30-45 second remove it from oil (keep it white) and repeat the process with rest of balls. 7. 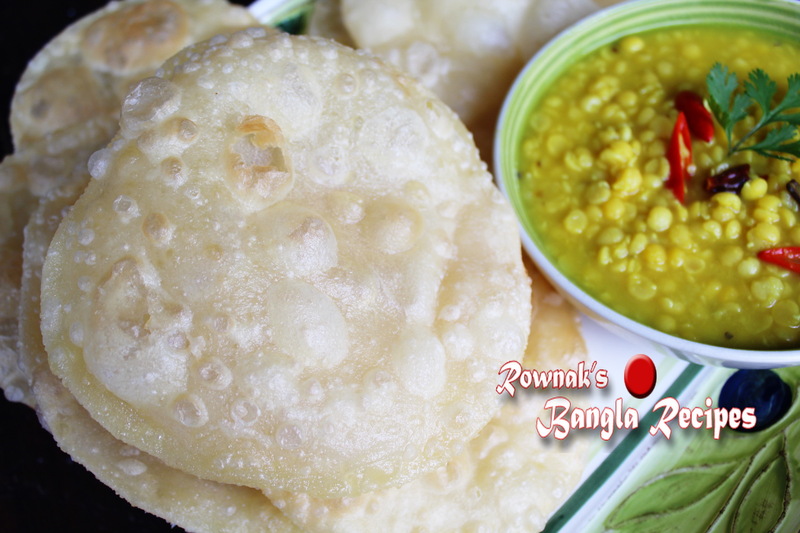 Serve hot luchi with meat curry/ lentil / Hari kabab/ mixed vegetables.